I had thrown the bag in my purse because, even though I have good intentions, I often forgot to take my shopping bags to the store. Since this bag is so compact in its attached carrying case, it is the perfect bag to throw in your purse whenever you go into the grocery store. In fact, it's perfect to keep in the glove compartment of your car. 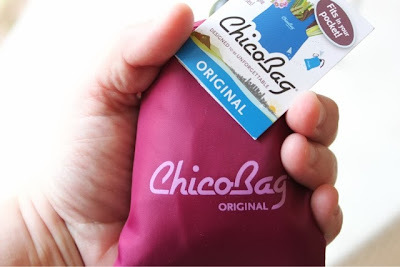 Put it in your suitcase whenever you travel to use as a laundry bag or to bring home those extra souvenir goodies. But, back to how I ended up using my ChicoBag Original for the first time. In June, after suffering from a severe headache for almost a week, my husband was hospitalized for what turned out to be viral meningitis. 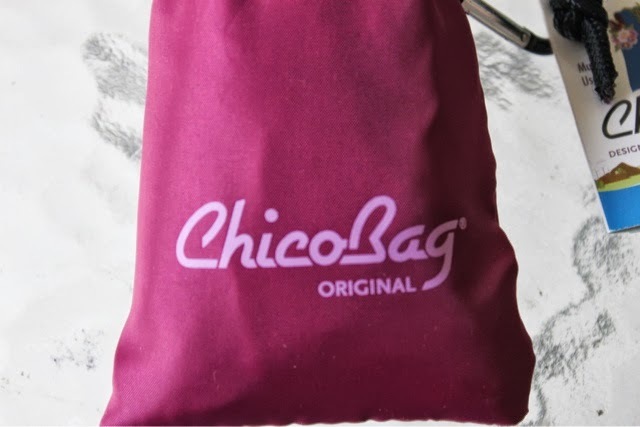 When faced with what to do with my husband's dirty clothes and personal items, I remembered that I had the ChicoBag in my purse. It was perfect! I was so happy that I had the bag and that I had remembered to use it. 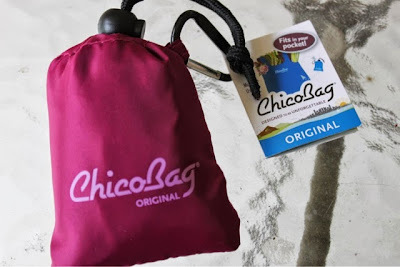 Disclaimer: ChicoBag provided me with review and giveaway products; however, the opinion expressed here is my own. It will be kept in my purse for those unexpected times..like a hospital visit. My son has severe asthma and was hospitalized 4 times in 5 months. Praying your husband, and yourself, are well. Will carry it in my purse. Love to go shopping when on vacation and am always needing something to carry my presents for my granddaughters home in.. Hope your husband is home and things are moving upward for your family..
Will carry in my purse for when I need a bag. Thanks. I will keep it in our truck. Plastic bags are banned in our city so I need it for anytime we go shopping! 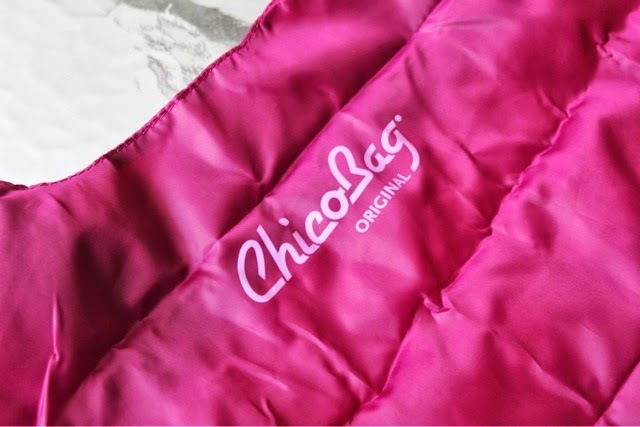 You can never have too many bags, I am always bringing along extra clothes for my daughter when we go places, this would be perfect. Hope your husband is now feeling better. I would probably keep it in my purse to use when I go to the store. In the car- you never know when it might come in handy! It will go to the gym with me! 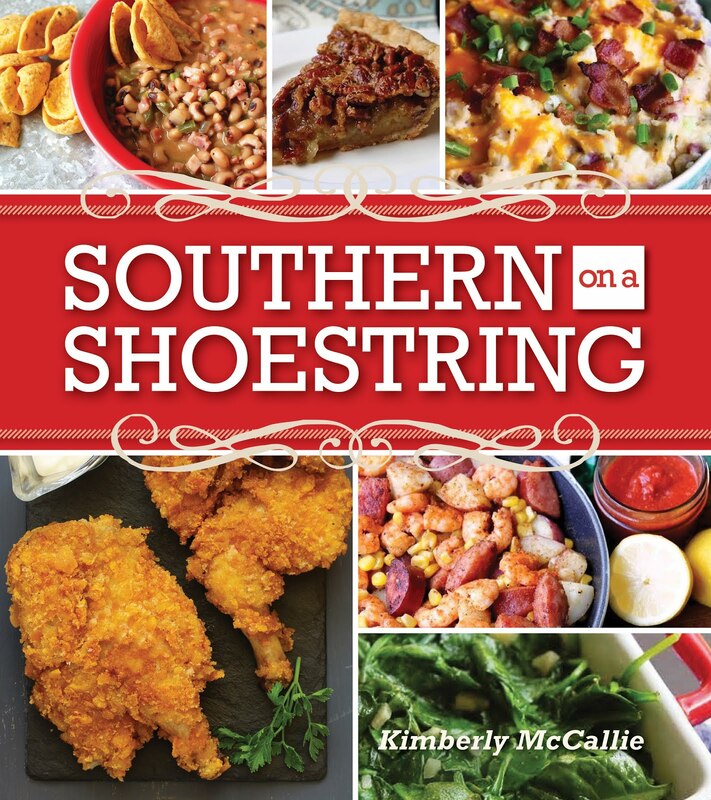 Blog Tour: "Mormon Mama Italian Cookbook"
Sizzlin' Summer Reads: "Honey Crafting"
Cookbook Review: "Your Cup of Cake"